Rescuing Leftover Cuisine is Growing! 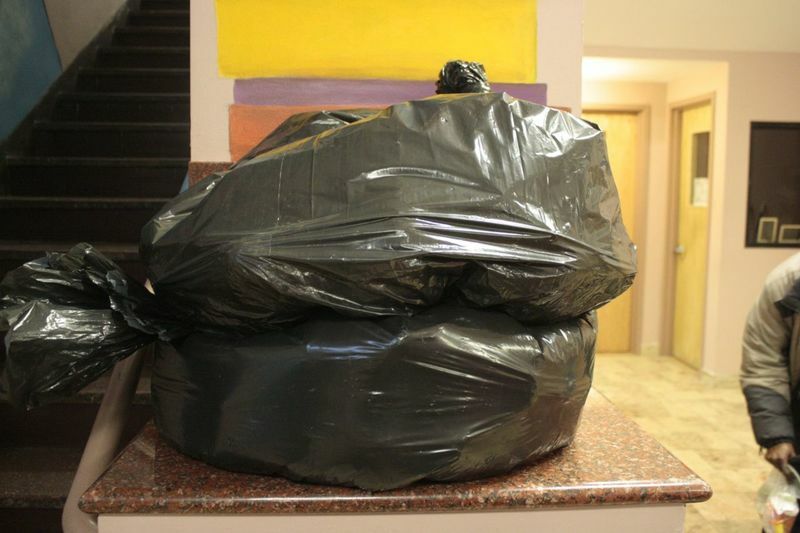 Pictured above are two bags filled with 30 pounds of bagels, donated by the Long Island Bagel Cafe in the Financial District to the NY Rescue Mission. The Long Island Bagel Cafe is a brand-new partner that started donating their extra bagels at closing time this past week. As we start to grow this particular route, our series of information sessions in the coming months will help us get the word out about what we do, get more people on board, and make sure that this extra food can make it to those in need. And that is the core of our approach to food rescue: local, community-based, and sustainable. The routes are a quick and easy walk through a neighborhood, starting from one restaurant and ending at a particular homeless shelter or food bank. There are no minimum weight requirements; we carry anything and everything that is whole and would otherwise have gone to waste. And every little bit counts. As we continue to search for opportunities to grow the organization and make sure that no food in New York goes to waste, we are grateful for what we have achieved so far. And we are excited for what the future holds.